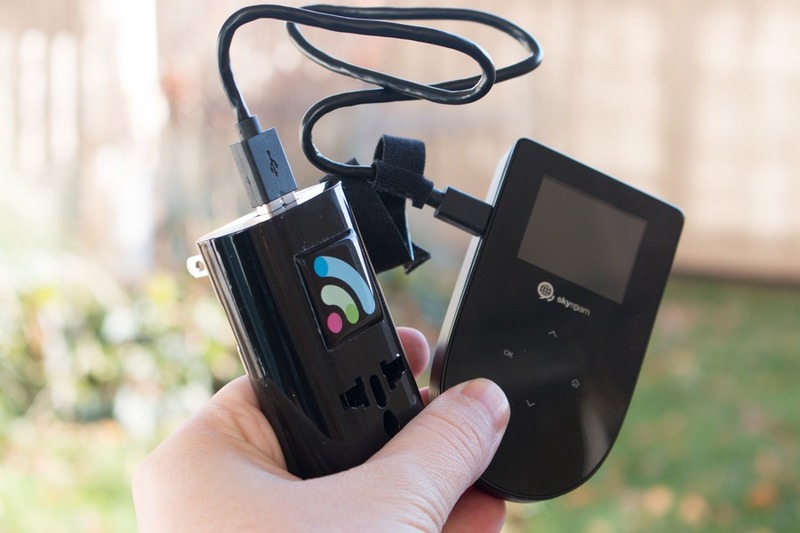 Home » Product Reviews » Tep Wireless Review: The Travel Wi-Fi Hotspot You’ve Been Waiting For? Update 2017: The new generation Tep 4G portable Wi-Fi hotspot has been released. Read more about it in my new review. In the last 4 years of nomadic travel around the world our biggest challenge was not language barriers. It was not sickness or injury. It was not even travelling with 2 young children. It was something invisible that you can’t see, taste or touch. I’m talking about reliable Internet access. Erin and I rely on Internet access for everything from booking hotels, working out travel routes, organising flights, train schedules, locating gas stations, researching attractions and currency conversion. And that doesn’t even take into consideration social media, emails, calendars, Skype, VoIP, or tools for managing an online business. So you can imagine how frustrating it can be hopping from one Wi-Fi network to another, putting up with slow or throttled hotel Internet connections, and wasting time shopping around for local SIM cards every time we cross international borders (which happens more frequently than I change underwear). So when I heard about Tep Wireless, I was really interested to try it out. This magic little black box (modem) will connect to a local 3G/4G mobile network and create a private Wi-Fi network to share that Internet connection with up to 5 of your devices. 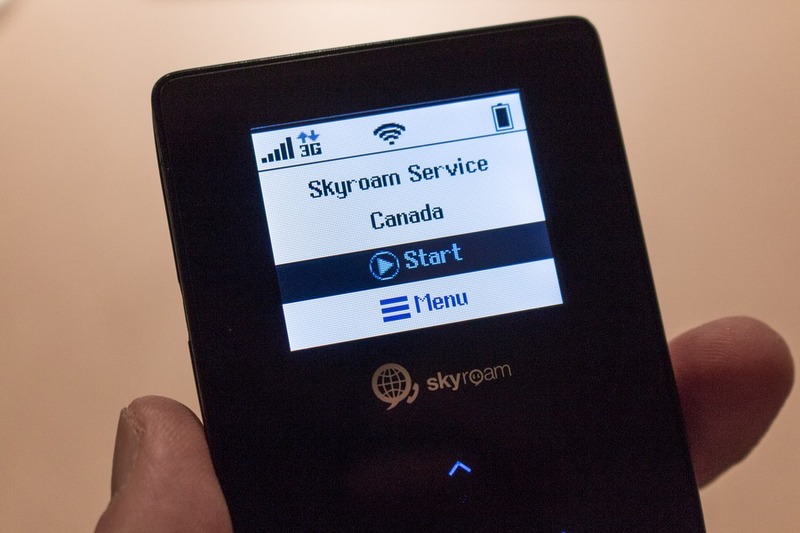 The non-jargon version: it gives you wireless Internet access wherever you travel. 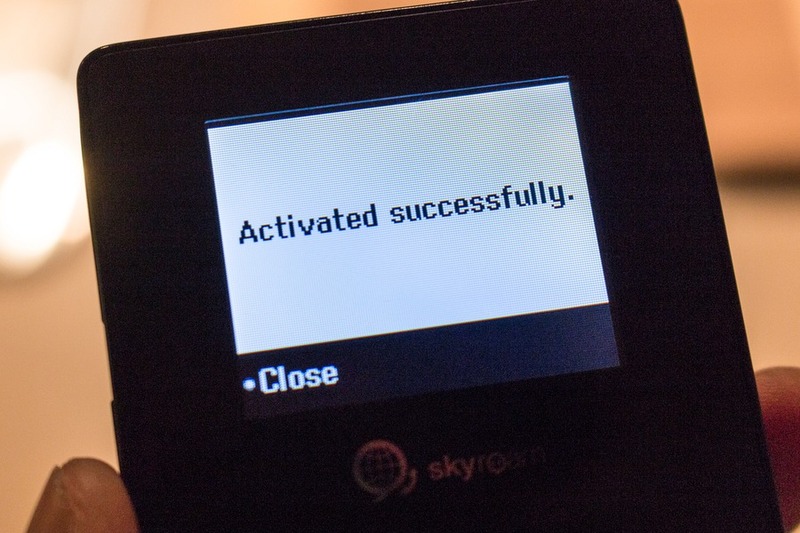 I just turned it on and connected my smartphone like any other Wi-Fi network (using a password that was displayed on the Tep Wireless device screen), and I was online instantly. Easy. The total price depends on the length of your rental (you just rent the Tep Wireless device for as long as you’re travelling), and the countries/regions you’re visiting. The longer the rental period, the cheaper it gets per day. There’s no need to purchase the device outright and no other special software or hardware is required. Everything you need is included in a neat little package. Check out the full list of countries on the Tep Wireless website. We are currently using it on our #motherofallroadtrips across the US. Recently a family member joined us for a week on our road trip and she could share our Internet connection with no problems. This will vary greatly depending on the local network that is being accessed and signal strength. A solid 3G signal can reach up to 7.2Mbps and on HSDPA networks (4G) it can go even quicker. Apart from the obvious benefit of a reliable Internet connection anywhere and everywhere, there are a few features that I particularly like. 8-hours of use from 1 charge. The device will last all day when we’re out and about. 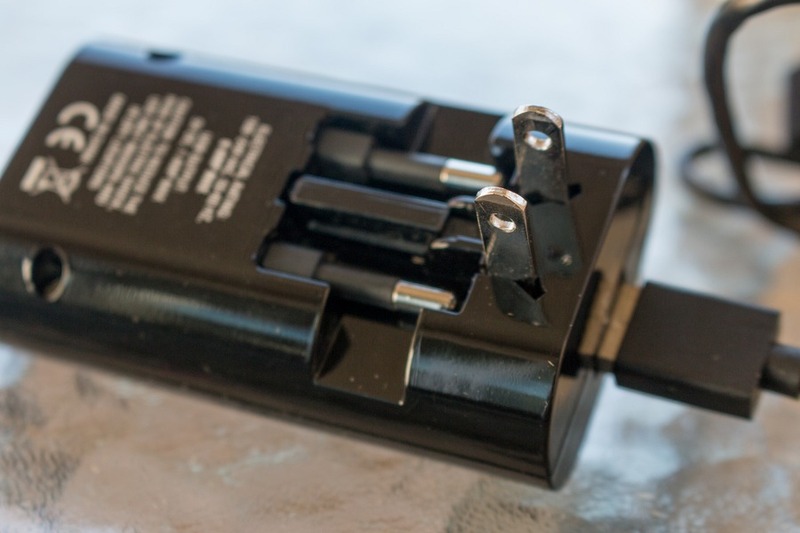 The standard micro USB connection makes it convenient to charge using the included travel adapter (very useful on it’s own), or a car charger (not included), or in my case, a 6-port USB charger. The device’s backlit screen is easy to read in any lighting, and the menu system is intuitive. No need to read the manual. Up to 5 devices can be connected at the same time. The more travellers in your group, the merrier. Erin can use her phone and laptop while I use mine as well, with room to spare. Using public Wi-Fi connections can be risky, especially when you transmit sensitive data (such as logging into your Internet banking and Paypal). Sneaky hackers on the same network can siphon your signal and steal your sensitive passwords, potentially resulting in substantial losses. Since the Tep Wireless modem has a password out of the box, unauthorised access is a lot less likely. I can’t stand checking my data usage every day, or cringing when I let my kids play with my phone hoping they won’t stream a video over a 3G connection. Since I’ve been using the Tep Wireless I don’t have to worry anymore. It truly is unlimited. No need to try and ration my data usage anymore. If you go a little crazy and use over 300MB of data in 1 day (you’ll have to be trying very hard), the speed is slowed to 512kbs for the rest of the day and returned to full speed the next day. I’ve never gotten close to that limit. While Tep Wireless is a very useful and intuitive product, it’s not without a couple drawbacks. Once per day the Internet connection must be activated to “prevent abuse”. This takes all of 3 seconds, but a minor inconvenience nonetheless. I’ve found a couple occasions where I was waiting for a webpage to load on my phone and, while the Wi-Fi logo showed a strong signal, I had to dig into my backpack to find the device and re-activate the Internet. Must be turned on to charge. A couple times I left the device to charge overnight only to walk out the door the next day and realise it was still flat. It would be better if it charged when the device is turned off like my smartphone. A minor inconvenience and the easy workaround involves turning it on when charging. Can’t make regular phone calls. Since it’s not a regular SIM card in your smartphone, you don’t have any “airtime”. However that hasn’t been a problem as we’ve used Skype and Google Hangouts Dialler for voice calls over the Internet connection. And Whatsapp and Facebook Messenger work perfectly for real-time text messages. Is Tep Wireless good value? Short answer… it depends. But in our experience, yes. 1) Hop from one public Wi-Fi connection to the next and cross your fingers (we’ve done this a lot and it’s frustrating). 2) Turn on data roaming with your regular mobile provider at “home” (this can be very, very expensive so be careful). 1) How many devices do you have (smartphone, tablet, laptop)? If you pick up a local SIM card, it could be a cheaper short-term solution, but you may not be able to share the Internet connection with your other devices – and purchasing multiple SIM cards will raise the cost. In Canada a pre-paid SIM card with 1GB of data cost us around CA$60/mo (and the “mobile hotspot” feature was deactivated, so we couldn’t share the connection with other devices). 2) How many people will you be travelling with? If you travel with a partner, friend or small group, then the economics of sharing 1 data connection really makes sense. Simple enough. 3) What countries are you travelling to? Tep covers a lot of countries. But there are a couple which aren’t. If you prefer a visual guide, check the world map under “coverage” over here. Mobile data costs for local SIM cards can vary substantially from country to country. For example, we stayed in Bali, Indonesia for several months and used a local SIM which cost US$7/mo for around 1GB. But these cheap rates are fairly rare on a global comparison. I also needed the help of a local to find, buy and load credit on a SIM card. Hardly ideal. Tep Wireless worked right out of the box. 4) How long will you be travelling? If you’re staying in 1 country for an extended period (1-2 months), then a local SIM can be economical, but if you moving between countries buying local SIMs can add up quickly. When we travelled around Europe in 2014 Tep Wireless would have been perfect. We were usually in each country for less than 2 weeks; so paying for 1 month upfront on a prepaid SIM in each country would have been a waste of money. Also keep in mind the longer you rent the Tep Wireless device, the cheaper it gets per day. 5) How much data do you expect to use? Erin and I each use around 1GB per month when we’re rationing carefully – that includes emails, web browsing, maps, uploading images to social media and occasional Skype calls. The more data you need on a local SIM, the more it will cost. With Tep Wireless, I don’t have to check data usage and can stream YouTube videos without thinking twice. 6) Will you be going to remote regions where there’s no mobile reception? Unfortunately the Tep Wireless modem isn’t completely magical and can’t access a mobile network where there’s no signal. But if you’re unlucky enough to have no coverage, Tep allow you to cancel your rental so you don’t waste money. You won’t have that luxury with a local prepaid SIM. 7) How important is a reliable Internet connection to you? We use the Internet regularly throughout the day. It’s the lifeblood of our business. 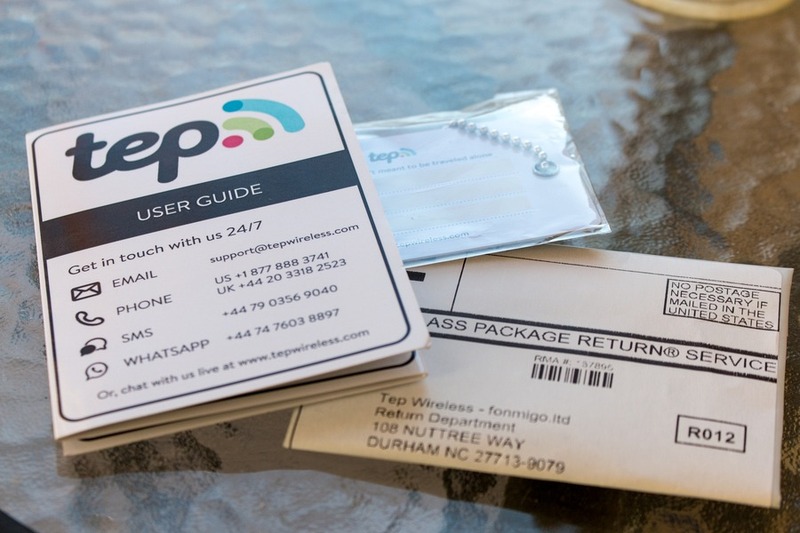 So if a reliable connection is paramount for you, getting it organised with Tep before you travel gives you extra peace of mind knowing as soon as you step off a plane or boat you’re online. 8) How valuable is your time? If you’re looking to pinch every penny and can afford to waste hours researching SIM cards, shopping around and navigating malls looking for mobile kiosks, then you might score a bargain with a local SIM card. But if you’re like us, and time means money, or you just want to make the most of your precious annual vacation time, then you’ll be better off with Tep Wireless. So the big question – is this the Wi-Fi Hotspot for you? Chances are if you’re like me, then the answer is yes. In fact, after using Tep Wireless now for a couple months, I don’t think I can go back to hopping between public Wi-Fi networks. It’s addictive like that. If you refer a friend or family member, you can earn $20 per referral. Is it a strong enough connection to use it to write blog posts and upload photos to WP? Living in a van in Europe will require us to access internet weekly to be able to share our adventures with our followers - we just want to make sure we find THE BEST solution. Any and all insight is greatly appreciated! Hi Brittany, yes we use it every day for everything from Google Maps to email to social media to Skype. You'll have no problems uploading photos to Wordpress. I'm really happy with it and my only other suggestion is have a Powerbank on hand everyday so in case your phone or the Tep Wireless device goes flat you've got another power source to charge. Hope this helps. I got really excited when I saw this.. and then 9.95 per day! - $300 a month. This sounds like a really great and powerful little device! I might have to consider this for my upcoming trip to Guatemala. Using Tep in London to write this. After having it 3 days, I'm finding the connection to be slow...usable, but slow. 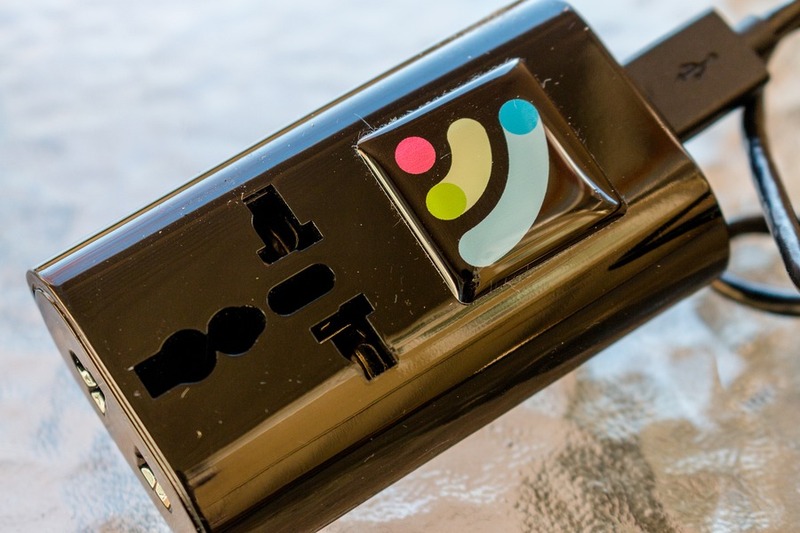 The battery life lasts about 7 hours, so if you're traveling, bring your own powerbank. Pick up at heathrow was easy. Hi Erin, I used TEP last January while travelling in Belgium. I am thinking of using it again when in NYC in March. I couldn't spot in your write up, but did you give out any promo codes? Thanks. 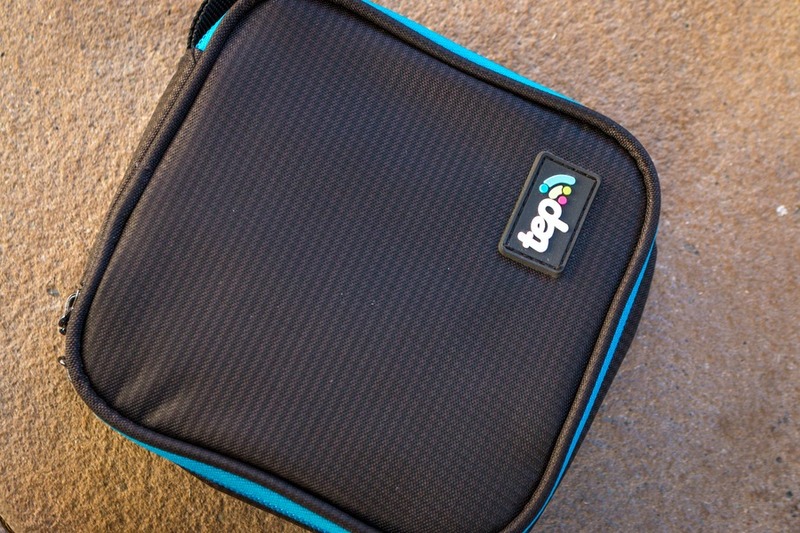 Hi Josh - I used TEP in NZ and grabbed it for 30 days. I found it crap in short - about 25% of the time it did not connect at all. And the pick-up and drop-off locations were farcical. And the device was clunky and temperamental. In fact, I'm requesting a partial refund. I would not recommend this service to anyone.